Got waste? We’ve got you covered on the Sunshine Coast. Our skips are affordable, offering the cheapest online prices on the Coast. Our skips are affordable, with the cheapest online prices on the Sunshine Coast. We have skip bins, mini skip bins and bulk waste bins from 3-12 cubic meters in most locations on the Sunshine Coast to suit your needs. Budget Skips can usually deliver the next working day or as scheduled. Call us for same day delivery. Conveniently book and pay for skip bins online 24/7 using our secure, user-friendly website. We recycle and/or dispose of your waste legally and responsibly, and supply local skips to help reduce your carbon footprint and protect our beautiful environment. We understand your needs and offer sound, friendly advice. We just love talking rubbish! We organise skip bin delivery, pickup and proper disposal of your household and commercial wastes. Households and businesses can accumulate large amounts of rubbish. Keep your surroundings clean, your staff, family and family healthy, and your environment protected with professional rubbish removal. 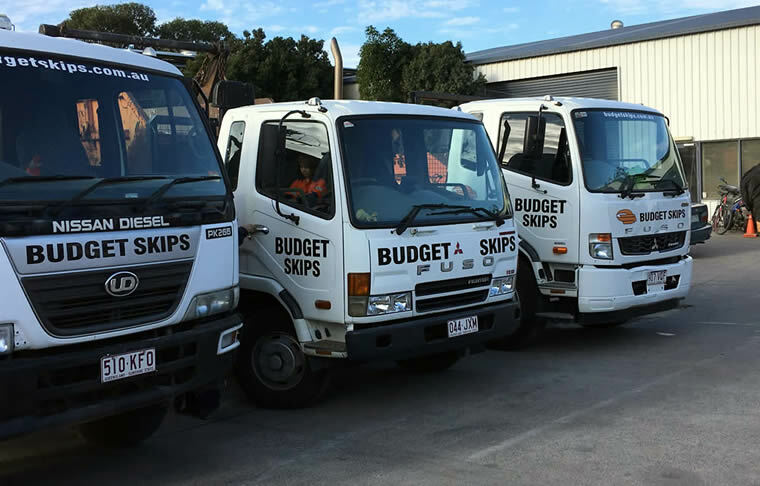 Budget Skips is your partner in safe, responsible waste disposal.